Twelve Open Houses are scheduled for 2019 including two special Open Houses for Viva Vienna Days and the annual Vienna Holiday Stroll. 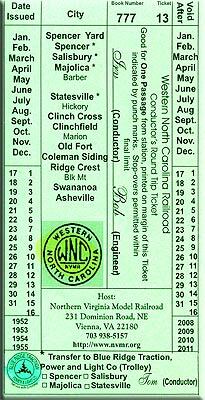 Admission is free; however, donations are accepted. All Open House times are from 1:00 PM to 5:00 PM unless otherwise specified. Traditionally, Open Houses are scheduled for every month except for the months of June and August. 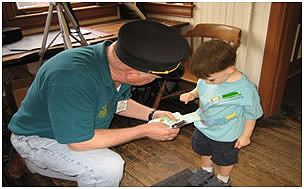 Young visitors are often offered a souvenir WNC Railroad ticket as they enter the depot. December Monday, Dec 2, Vienna Holiday Stroll, 6:00 PM - 9:00 PM.